The Christine Car Club » Christine Car Club Tech Section » Body, Interior & Exterior Trim & Paint: » Paint colors ??? PPG is where I got my Spectra Red for my Christine bicycle but they they couldn't put it in a spary can for me. Charlie, when you are looking for a red color in the samples, you can reallyh get confused. I know I gave that up and I painted mine the same color Red one of my friends had on a 55 Plymouth Belvedere. It is a true red no orange or pink in it. But about the color of Christine I don't know. Even when they mix the same code paint sometimes the color is a little off. I have had that happen before. Probly shoudn't happened but it did. I would park it any place you want. Remember none of these Christines are exact matches for "Christine" in the movie or the book. Everyone is changing little things that the origional Christine ( if there is an origional) did not have. Your car is an extension of you so you can't be wrong. Park her wherever you like. Just be careful what you say about her shes kind of sensitive. I'm working with the Spectra red and it is a beautiful color. Got the inside and trunk area sprayed today with bedliner today. Should be getting the Spectra red on after that. Im very excited to see the pics !!! I havnt got that far yet. I will be happy to see her back on the frame right now with her doors and trunk ect. I'm very curious about this post/subject. 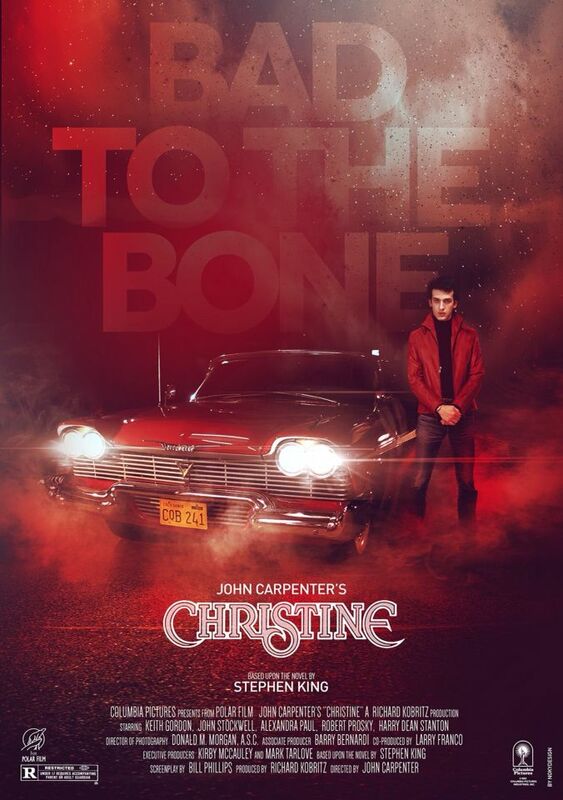 Can you actually see a change in Christine's paint during the film? Some people say there is a 'Mad' Christine red. I don't think so. The opening shot of her coming down the line looks a little more original like Toreador Red. It was filmed with Fuji stock that gave a softer old-timey view. The rest was 'Panavision' I think. Marc. 58belvedere wrote: Some people say there is a 'Mad' Christine red. I don't think so. The opening shot of her coming down the line looks a little more original like Toreador Red. It was filmed with Fuji stock that gave a softer old-timey view. The rest was 'Panavision' I think. Marc. I definitely agree with you! This definitely looks like 1958. I also think it's great how all the Buckskin Beige ones were repainted red and doubled for Christine.